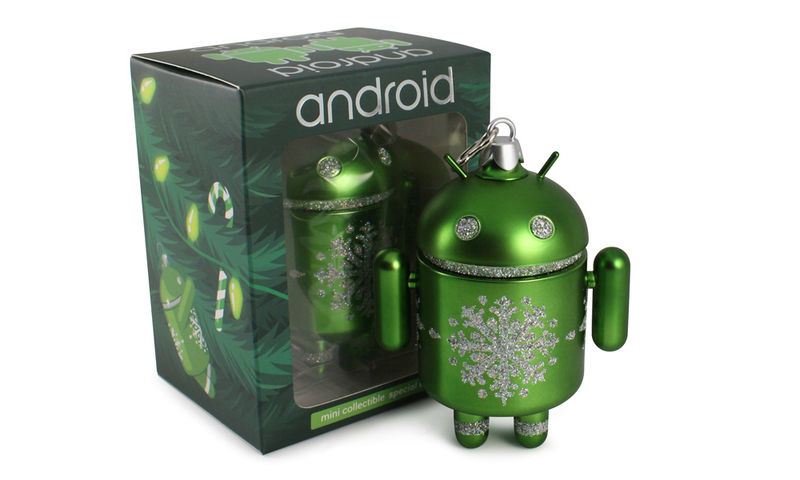 This year’s holiday-themed Android mini collectible ornament in green is now available from the folks over at Dead Zebra for $10. To help round out last year’s releases (in blue and red), this year’s green version should bring even more Android class to that tree of yours. This particular mini is a “bit more fragile” than other releases, likely because it’s just like all of the other fragile X-mas ornaments you already own. It comes with a topper and S hook, along with all sorts of glitter. If you order from the US, Priority Mail shipping is your option in order to get it by X-mas.